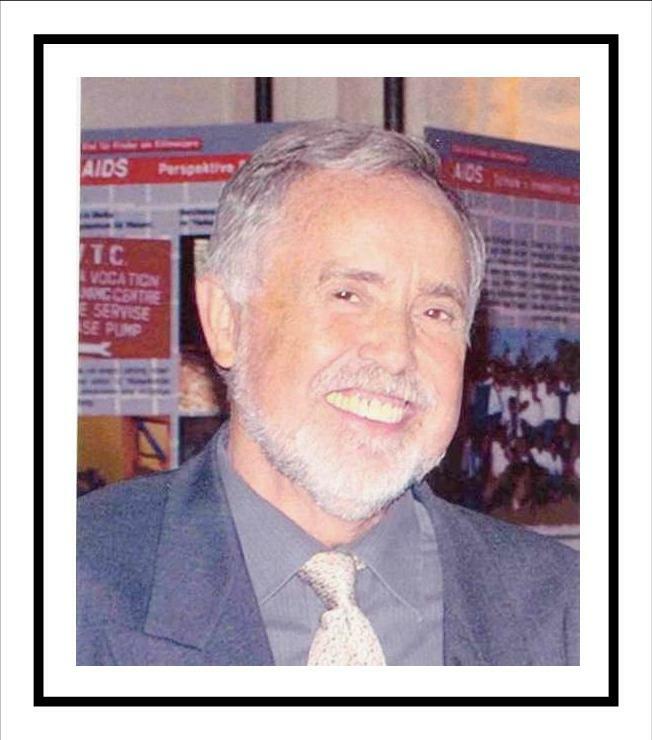 On March 7, 2012, Helmut Krieg, a long time friend of Mwika, succumbed to colon cancer and passed away in Heikendorf Germany. The whole of Mwika mourns with his family, friends and associates for this great loss. In the 30 years that he has been closely linked with Mwika, he has made many friends who cherish him dearly. The Kondiki Milk Processing Plant was built with support from his Tanzania Group in Heikendorf, and it is in the course of MWIDEFU’s efforts to expand the plant’s capacity by automating milk processing that MWIDEFU chairman, Dr. Kimaro, came in contact with Helmut Krieg. Despite his declining health, Helmut Krieg raised funds to provide the plant with a large capacity standby generator which will keep the plant running even during frequent power cuts. But this is only one of many achievements in Mwika that we associate with Helmut Krieg. The very first vocational school in Mwika which enabled primary school leavers to acquire marketable skills, a nursery school at Uuwo parish, a class for the handicapped, Uuwo dispensary and mortuary, spacious dining halls that serve as multipurposes halls in many primary schools are only a few of those. Seven people from Mwika went to Heikendorf for Krieg’s funeral. Anticipating his own passing away, Helmut Krieg requested that the funds that had been set aside for a joint trip with his wife Doris toTanzaniain this March should be used, instead, to pay for the trip of some friends from Tanzania to attend his funeral in Heikendorf. He asked that instead of bringing flowers his mourners should contribute that money for the Kondiki Milk Processing Plant. Interestingly, he told his friends and family to watch out for a special signal on the day of his funeral. And behold, March days that had been exceptionally cold in Heikendorf turned exceptionally warm on the day of his funeral that people had to take off their jackets! Mwika will always treasure the memory of this true friend, and the whole community is determined not let the development impact of his efforts be eroded. May the soul of our dear friend, Helmut Krieg, rest in eternal peace.